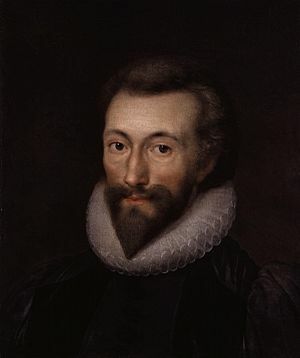 John Donne (22 January 1572 – 31 March 1631) was an English poet and cleric in the Church of England. He is considered the leading representative of the metaphysical poets. 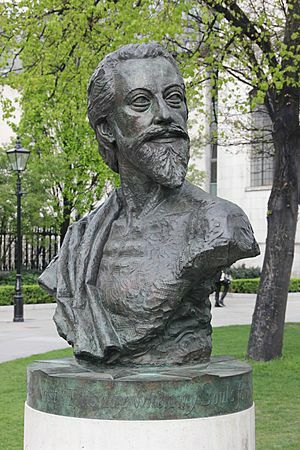 His works are noted for their strong style and include sonnets, love poems, religious poems, songs, satires and sermons. His poetry is noted for its vibrancy of language and inventiveness of metaphor, especially compared to that of his peers. His early career was marked by poetry that bore immense knowledge of English society and he met that knowledge with sharp criticism. Another important theme in Donne's poetry is the idea of true religion, something that he spent much time considering and about which he often theorized. Despite his great education and poetic talents, Donne lived in poverty for several years, relying heavily on wealthy friends. He spent much of the money he inherited during and after his education on literature, pastimes, and travel. In 1601, Donne secretly married Anne More, with whom he had twelve children. In 1615 he was ordained deacon and then Anglican priest, although he did not want to take Holy Orders. He did so because King James I persistently ordered it. In 1621, he was appointed the Dean of St Paul's Cathedral in London. He also served as a member of Parliament in 1601 and in 1614. 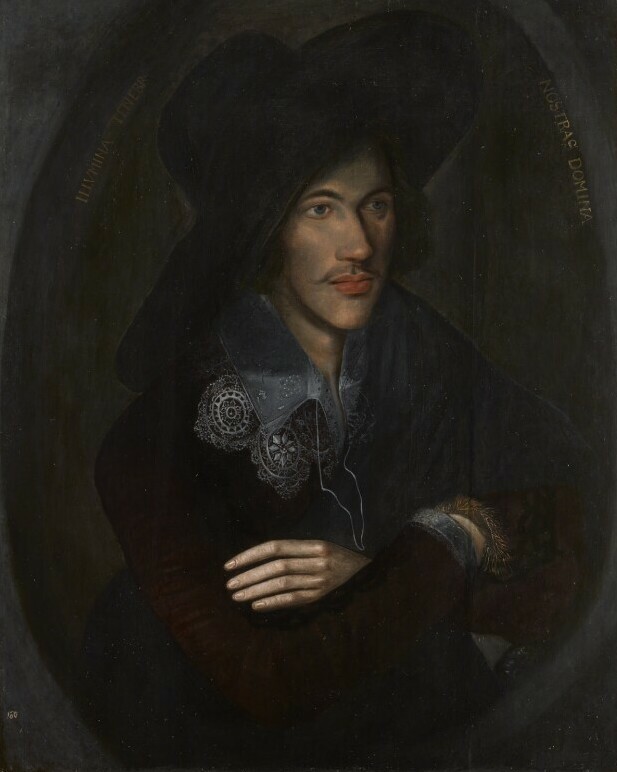 Donne died on 31 March 1631 and was buried in old St Paul's Cathedral, where a memorial statue of him by Nicholas Stone was erected with a Latin quotation probably composed by himself. The memorial was one of the few to survive the Great Fire of London in 1666 and is now in St Paul's Cathedral. The statue was claimed by Izaac Walton in his biography to have been modelled from the life by Donne in order to suggest his appearance at the resurrection; it was to start a vogue in such monuments during the course of the 17th century. In 2012 a bust of the poet by Nigel Boonham was unveiled outside in the cathedral churchyard. Donne is commemorated as a priest in the calendar of the Church of England and in the Calendar of Saints of the Evangelical Lutheran Church in America on 31 March. John Donne Facts for Kids. Kiddle Encyclopedia.